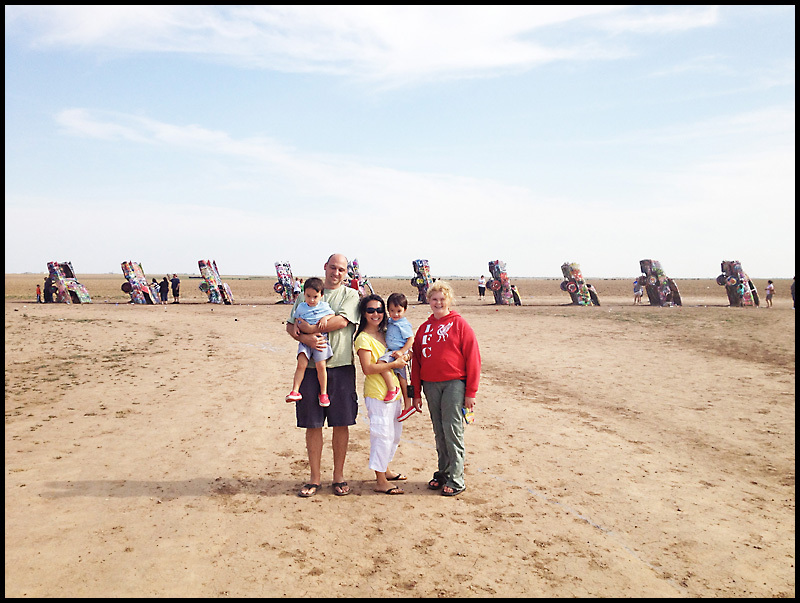 After a week of sightseeing, we were all pretty exhausted! 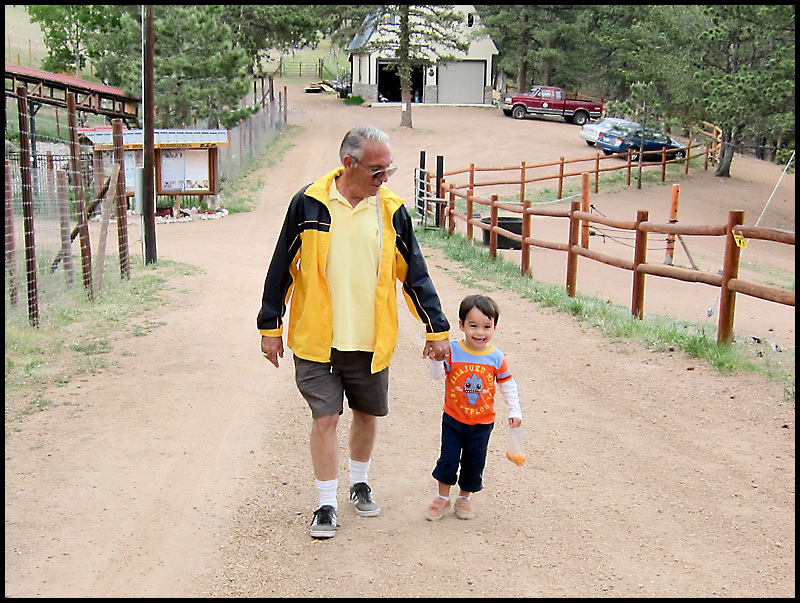 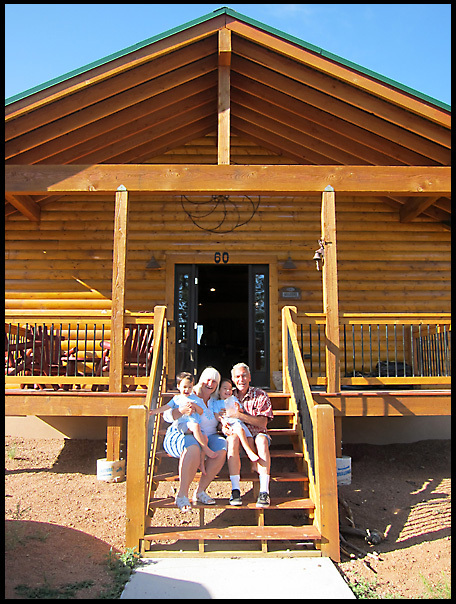 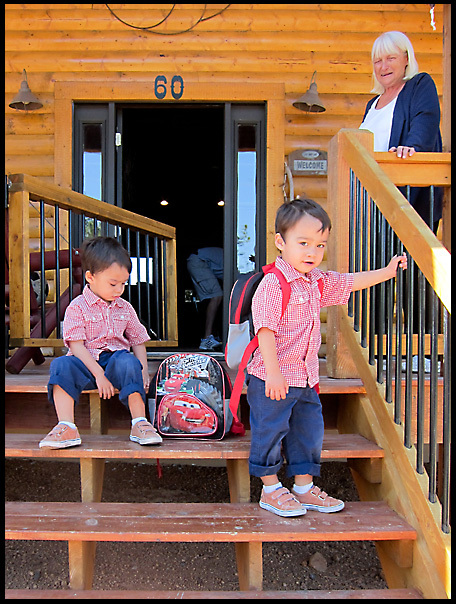 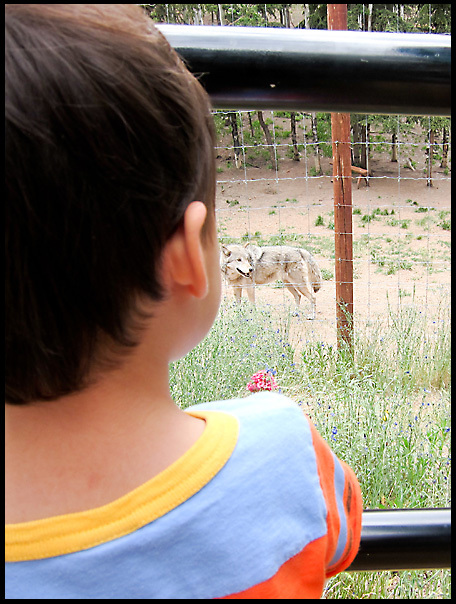 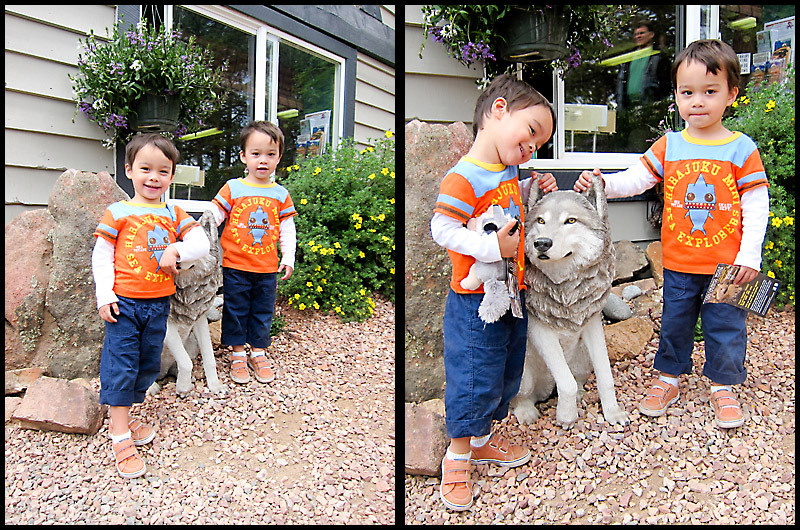 So, on the seventh day, we had a relaxing morning at the house and waited until the afternoon after the boys napped to check out one last place... a wolf sanctuary! 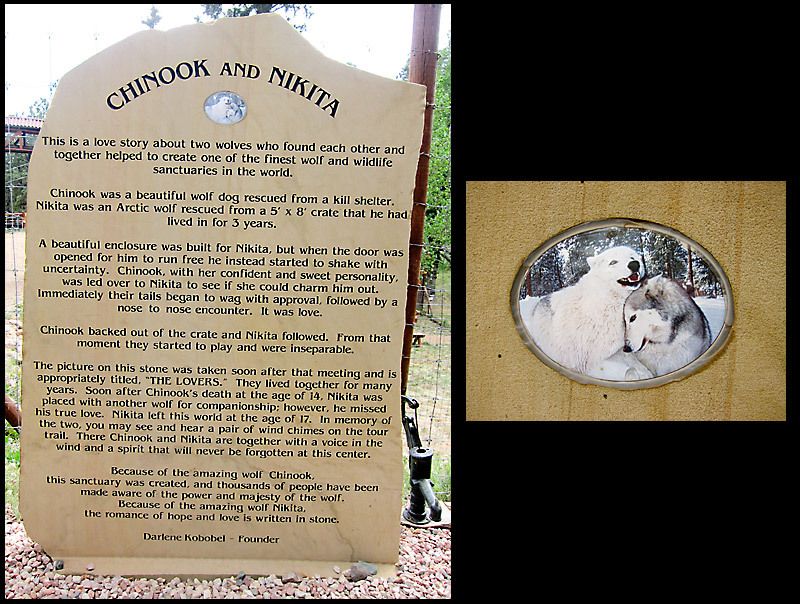 Such incredible creatures! 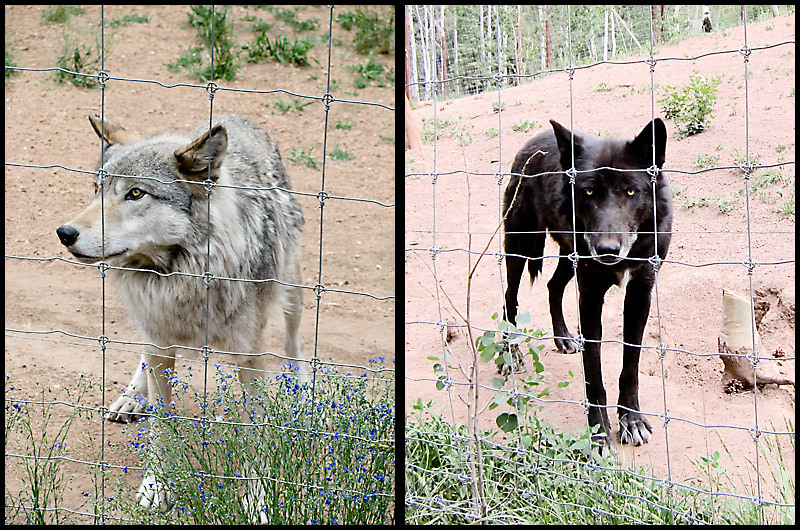 The black wolf on the right has a link to Hollywood... his uncle was in the Twilight movies! 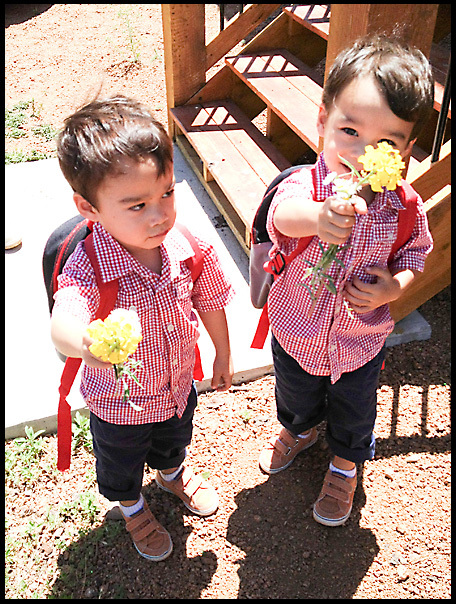 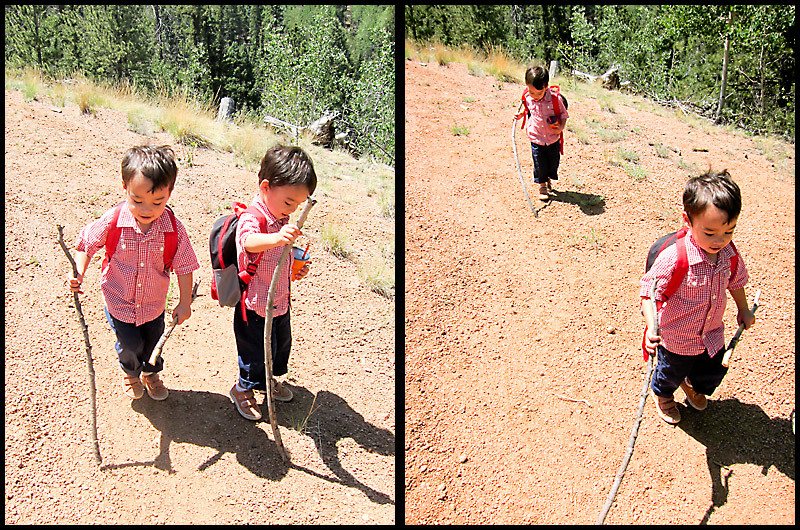 The boys can't go anywhere without a snack break! 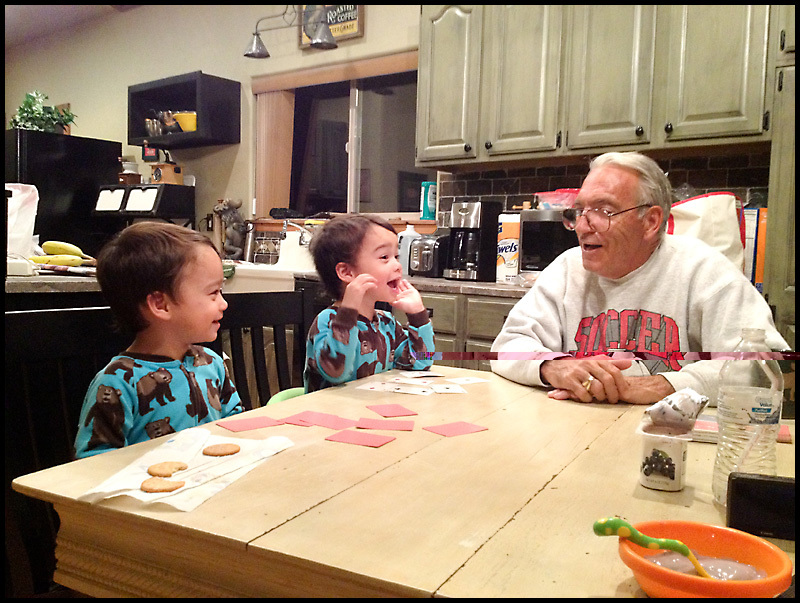 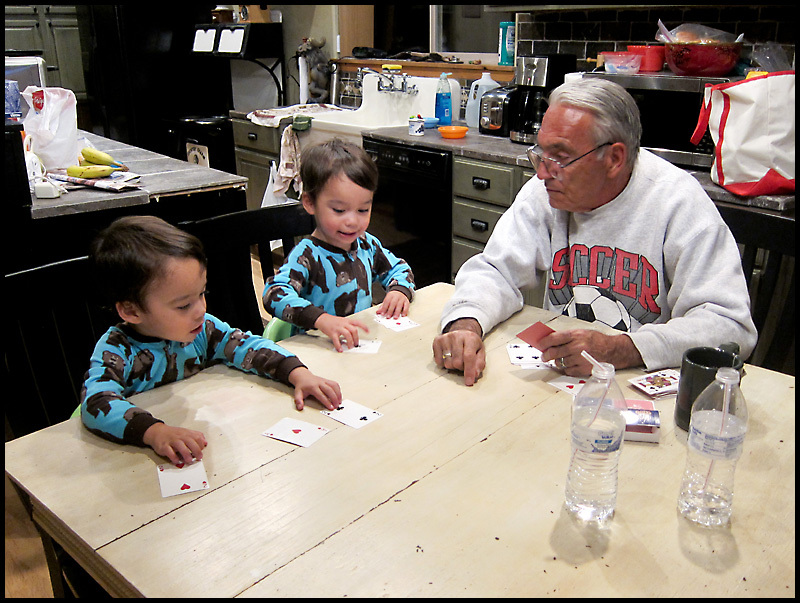 That night, opa gave the boys a lesson in cards! 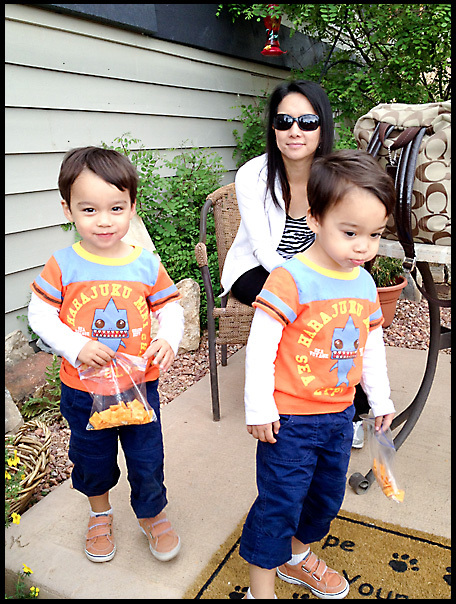 They were catching on pretty quickly! 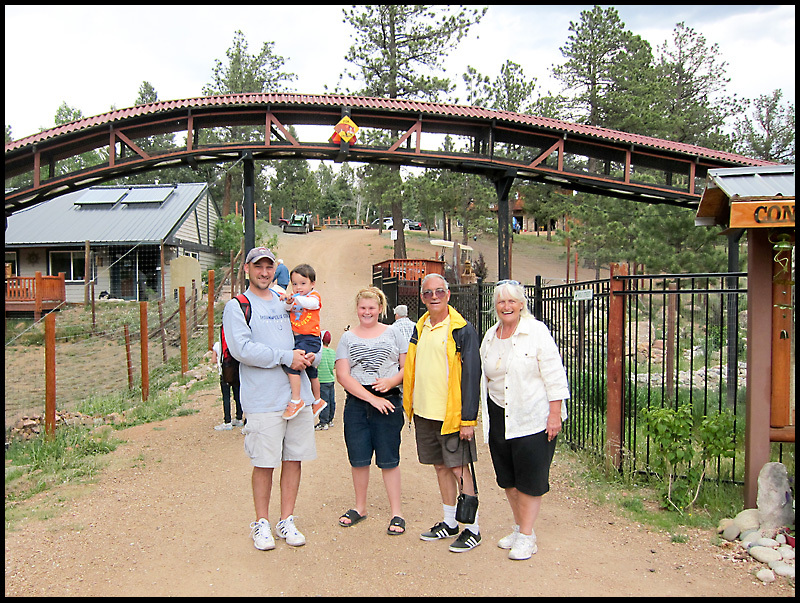 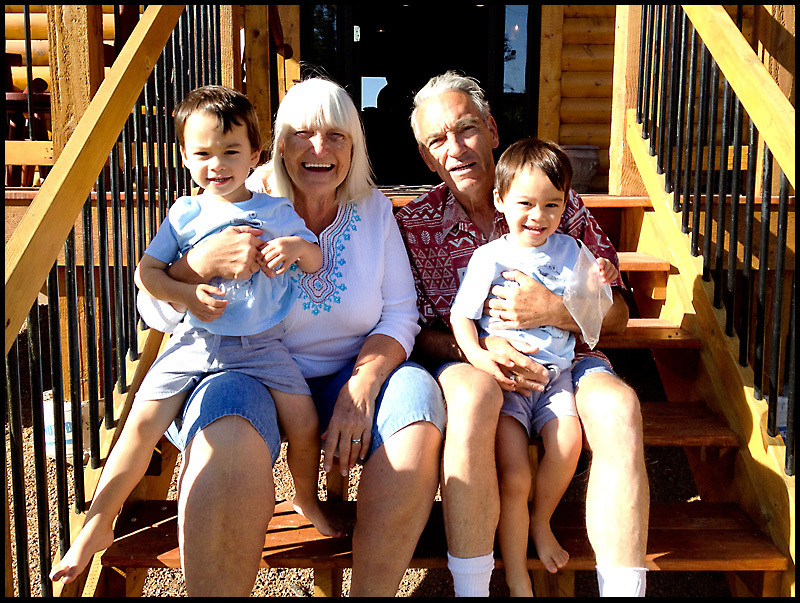 Thank you, oma and opa, for an amazing vacation we'll never forget! 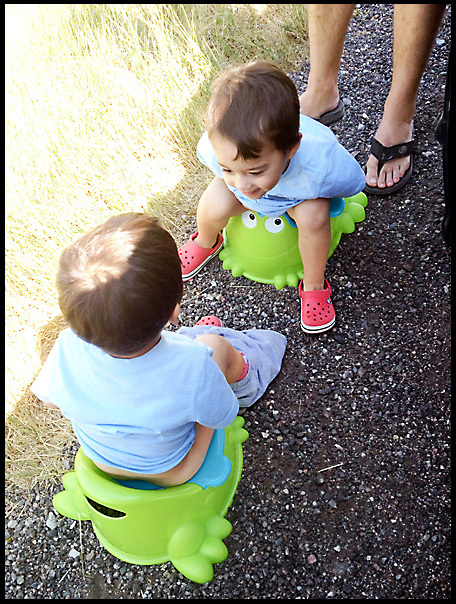 Potty training on a road trip is a big pain! 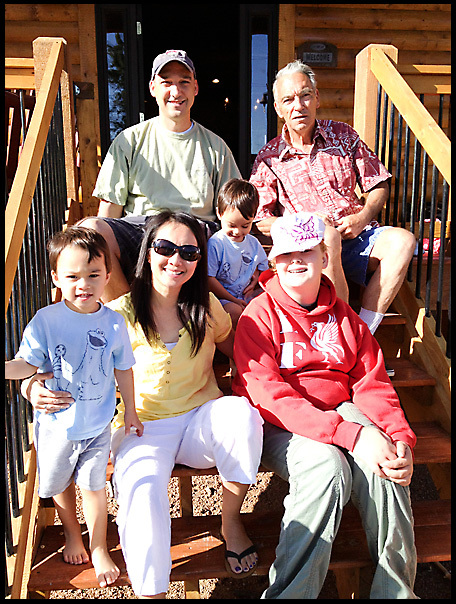 Gabrielle rode back with us and was a huge help with entertaining the boys! 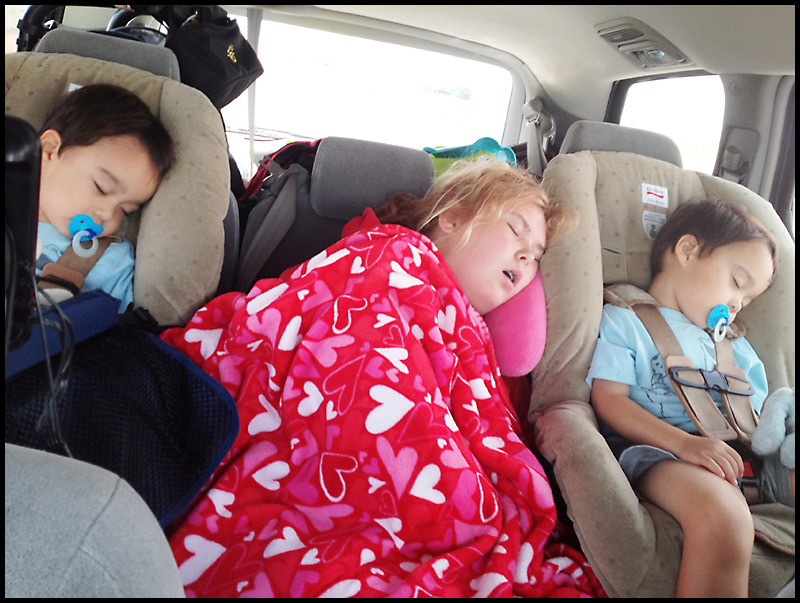 They all wore each other out! 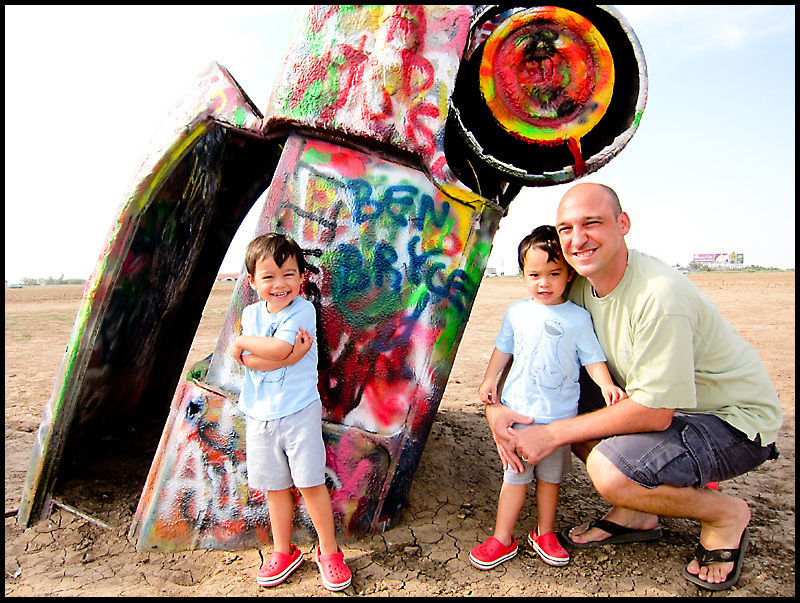 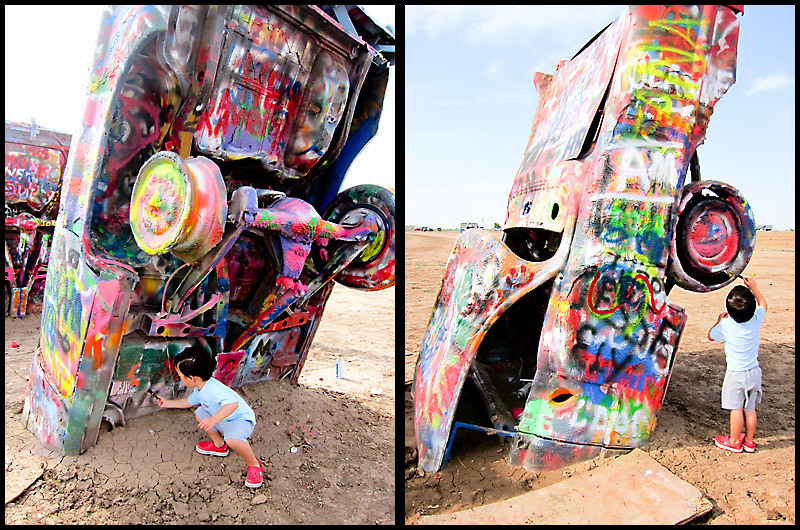 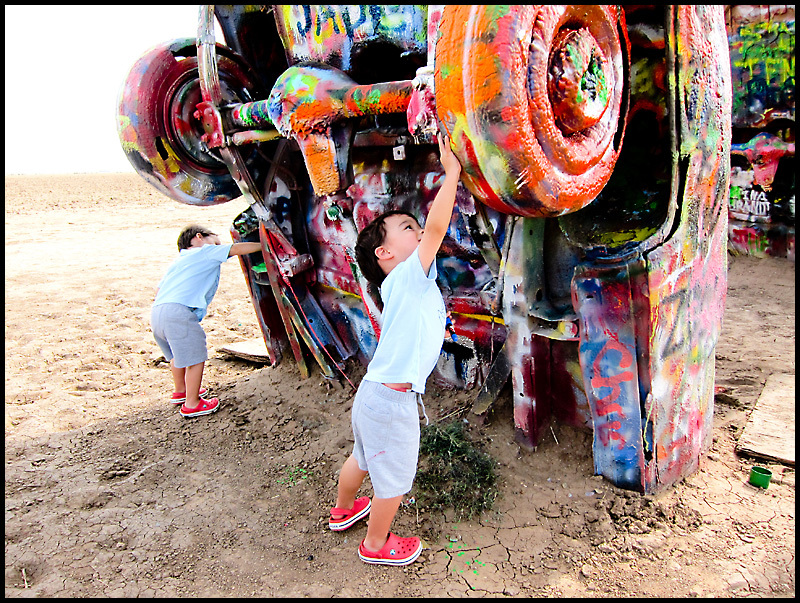 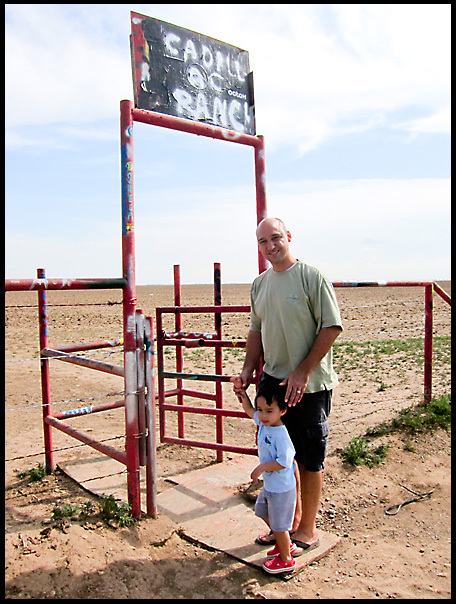 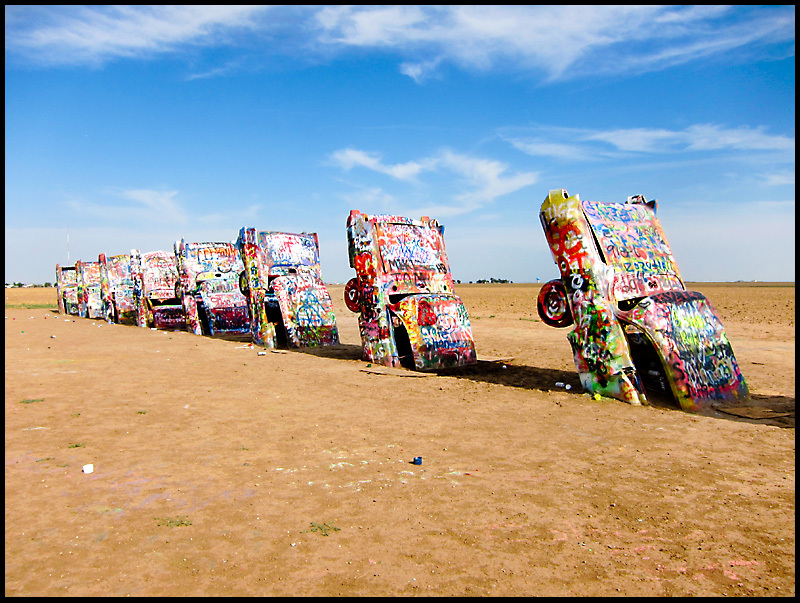 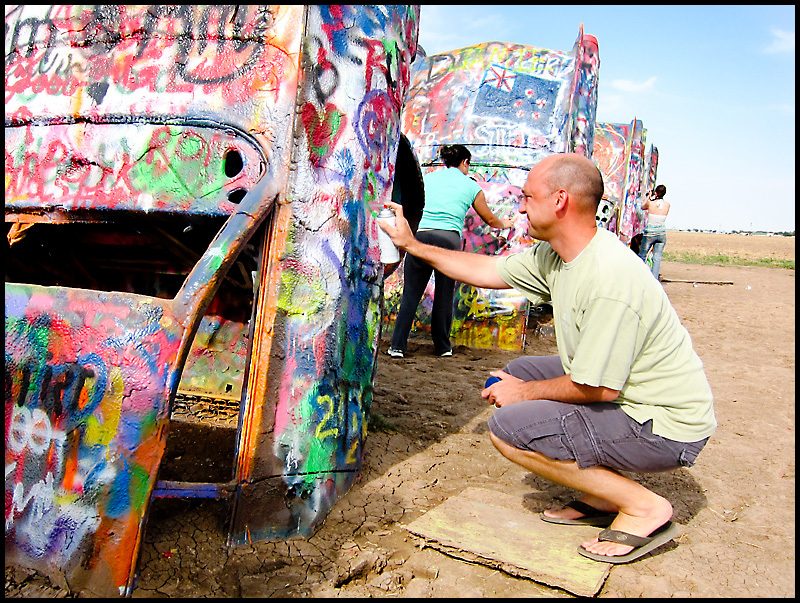 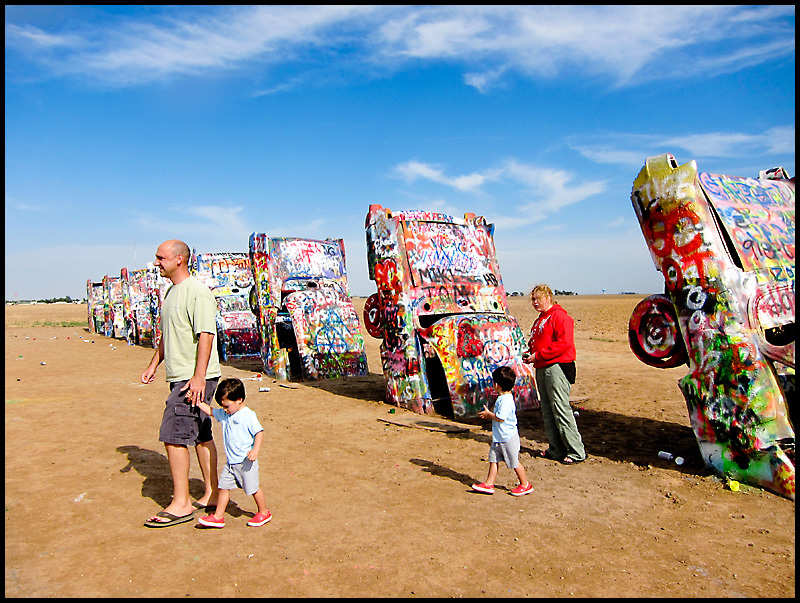 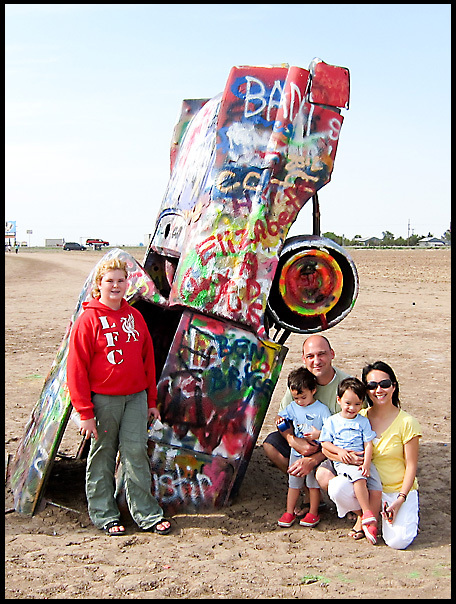 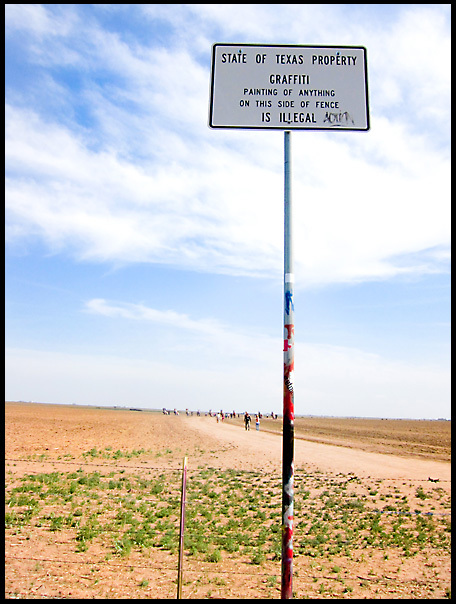 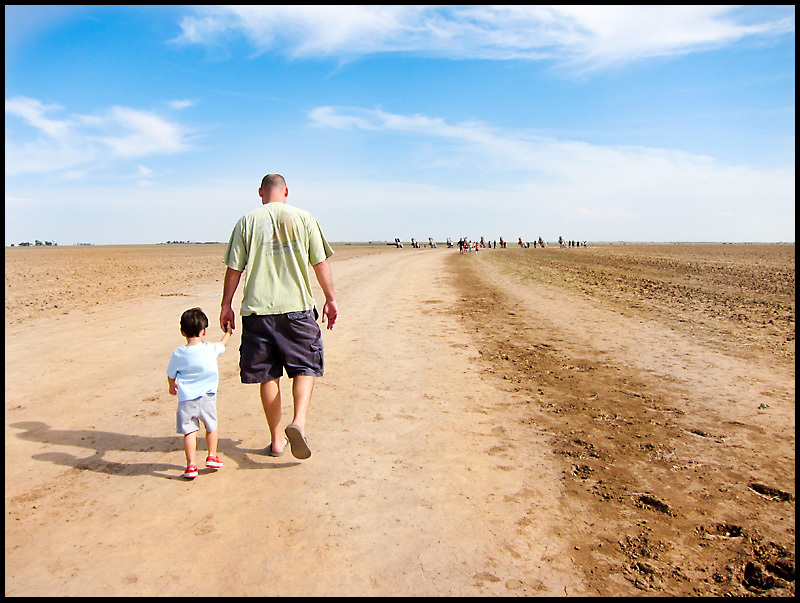 When we reached Amarillo, TX, we couldn't help but to make a small detour to see the famous Cadillac Ranch! 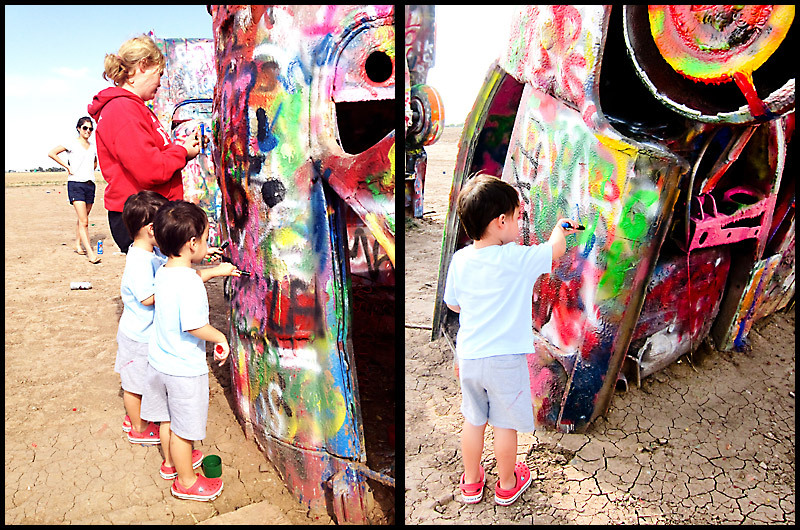 I think they really enjoyed themselves! 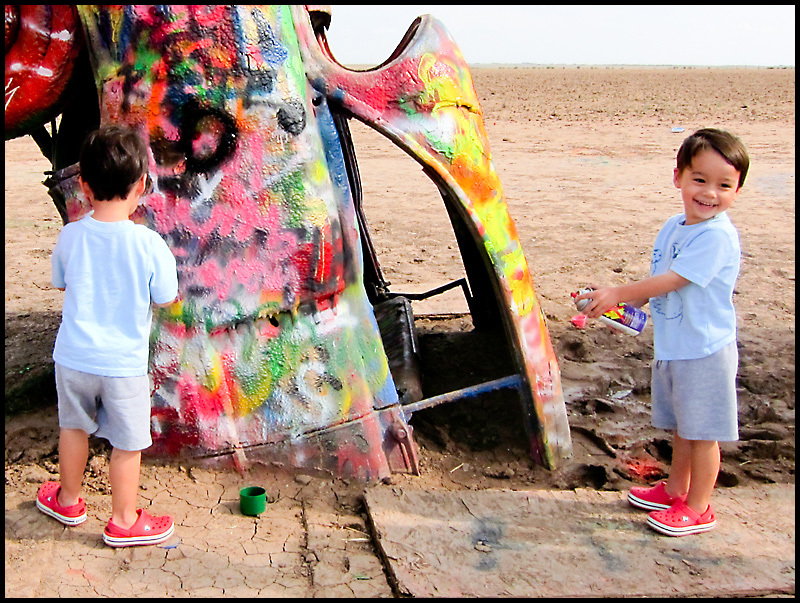 We certainly couldn't go to Cadillac Ranch without leaving our mark! 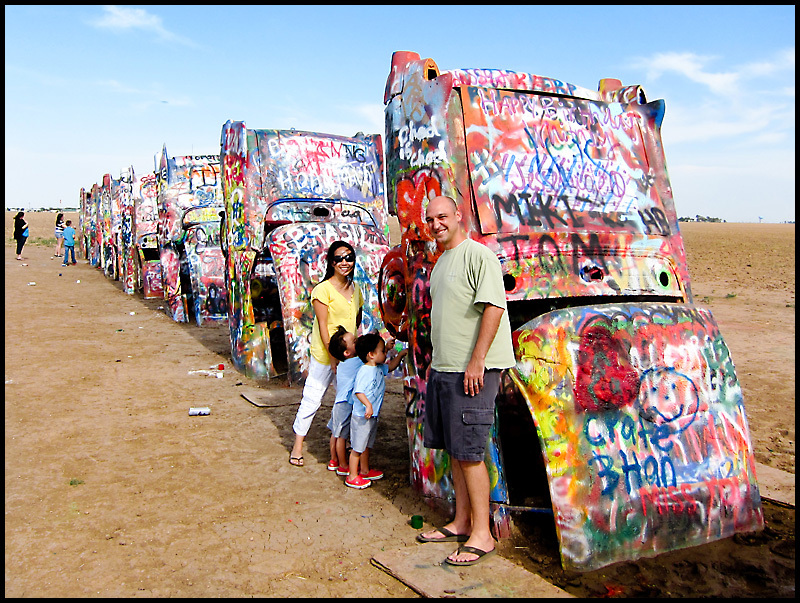 Time to get back on the road! 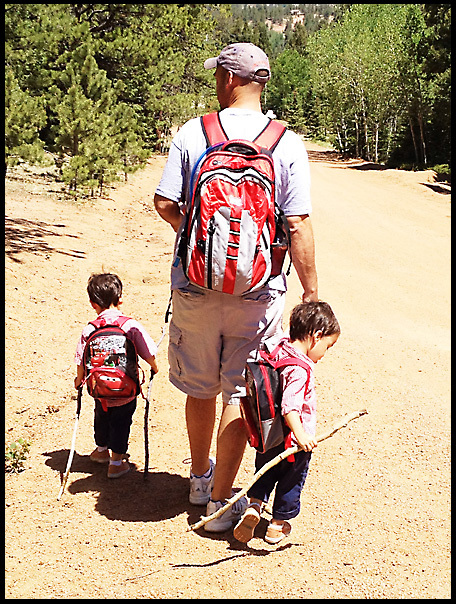 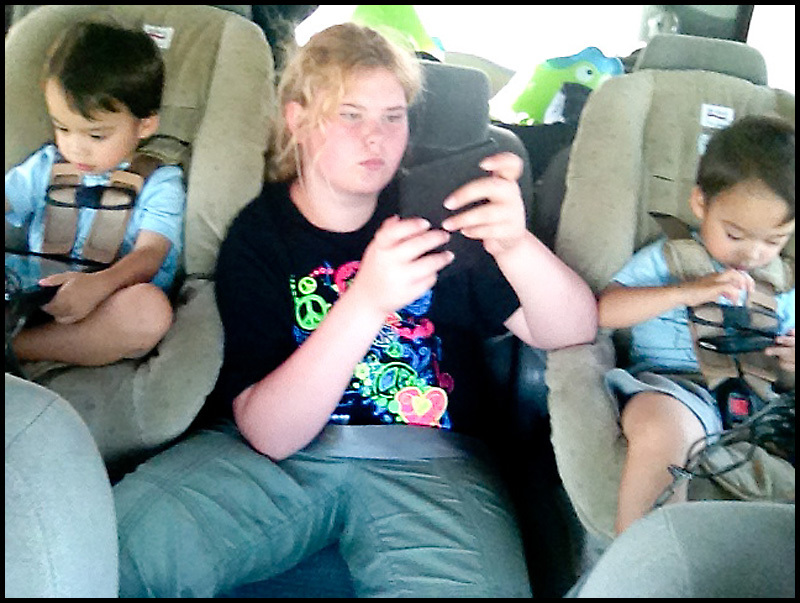 An iPad, a Kindle, and an iPhone gave us moments of much needed silence. 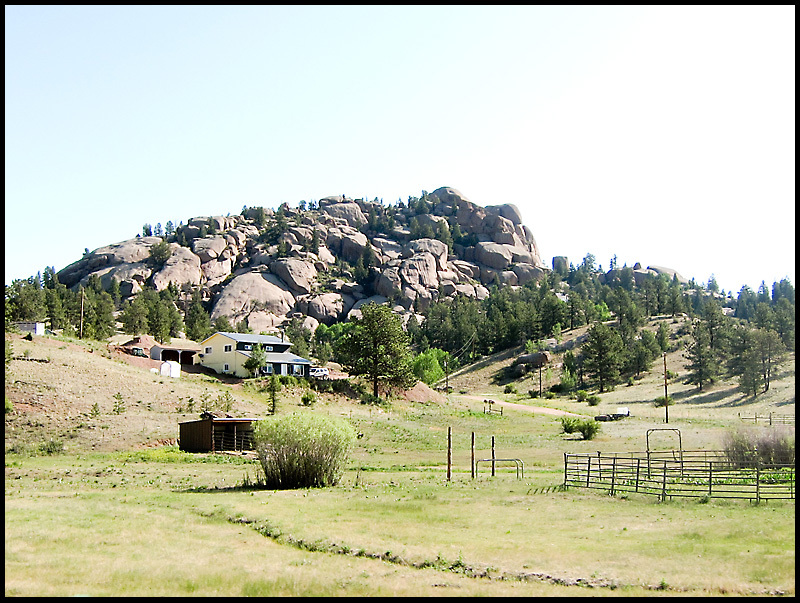 We made it home in 15 hours!